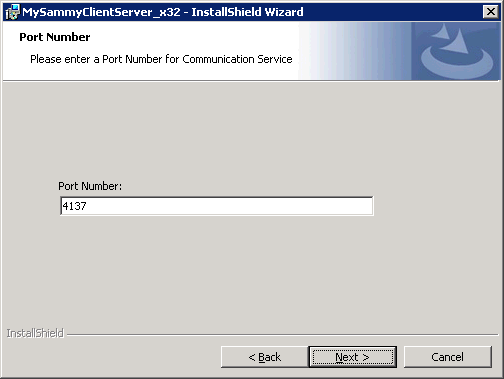 The following instructions help you install and configure MySammy software. 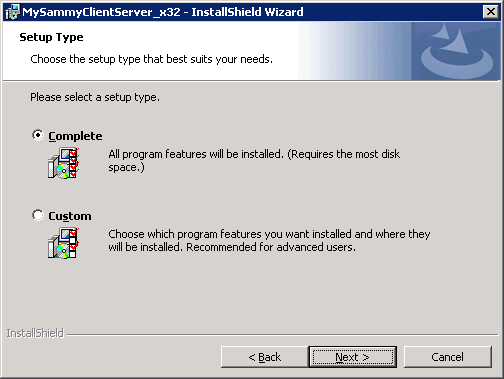 The MySammy Client Server software should be installed on at least one machine within a network and used for all laptop installations. On Windows XP or above click on the appropriate version for your environment, Download 32 bit or Download 64 bit. This will lanch the MySammy install wizard, click next. 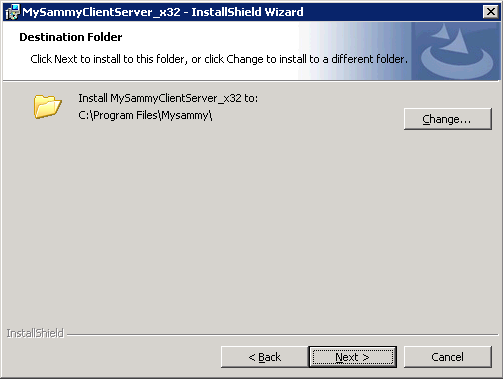 Click Change if you would like to select a different desination folder for the MySammy program files, to use the default click next. Provide your Account Name and Account Key (these are included in your sign up email), then click next. Click next to use the default port 4137, otherwise you may choose to change it now. 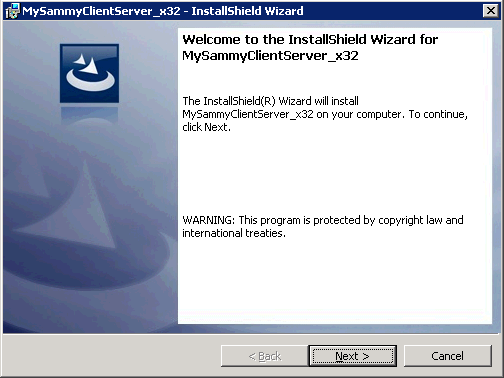 Click Install to begin the installation of MySammy software. Please wait while the install runs, it will only take a few moments. Your install is now complete.